Recommended use with Khrill Helm Control and his FOV addin! IHR looks very immersive with those two addons! Also big thanks Dimedius for helping me, he solved the major problems related to the camera! I´m not play ESO anymore so this code is open for anyone who like to continue updating and developing this mod. Does this function with Gamepad mode? I can't seem to get it to work. I don´t know does it work, i´m sorry. I don´t play ESO anymore and never tested this on gamepad. But code in this mod is actually quite simple so you can modify it to work maybe? This mod is free to take anyone who like to continue updating and developing it. I posted this under HarvestMap's comments, but I thought I'd share it here, too, in case it's something that can be fixed in ImmersiveHorseRiding. HarvestMap conflicts with ImmersiveHorseRiding where mounting in first person view changes the camera to third person view. 2a. Sometimes the camera pops into third person view at this point. If it does, go back into first person view. Expected: With ImmersiveHorseRiding enabled, mounting in first person view maintains first person view. Actual: With ImmersiveHorseRiding enabled, first person view changes to third person view when mounting and, occasionally, when performing other actions like sneak, opening doors, opening containers, talking to NPC, etc. I toggled and individually tested all my 50+ addons with ImmersiveHorseRiding and only HarvestMap conflicted. The reason for steps 2 and 3 is because it creates a reliable repro. Generally, once mounted and the camera changed to first person view, dismounting and mounting remain in first person view. Until it doesn't. I'd really love for these two addons to play nice. Thank you for your continued work! Your addon is incompatible with the add-on "Miat's PVP Alerts (Battlegrounds Edition)". 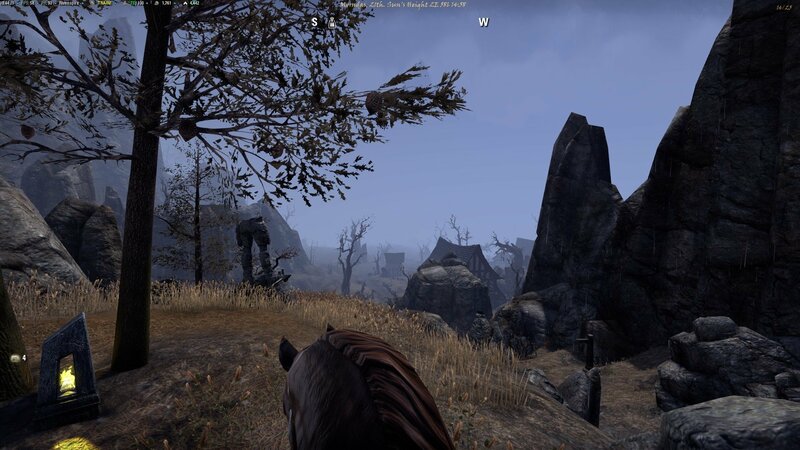 While in Cyrodiil (doesn't do it outside of Cyrodiil) the 3rd person camera is zoomed as close as possible to my characters back and I can't zoom out. 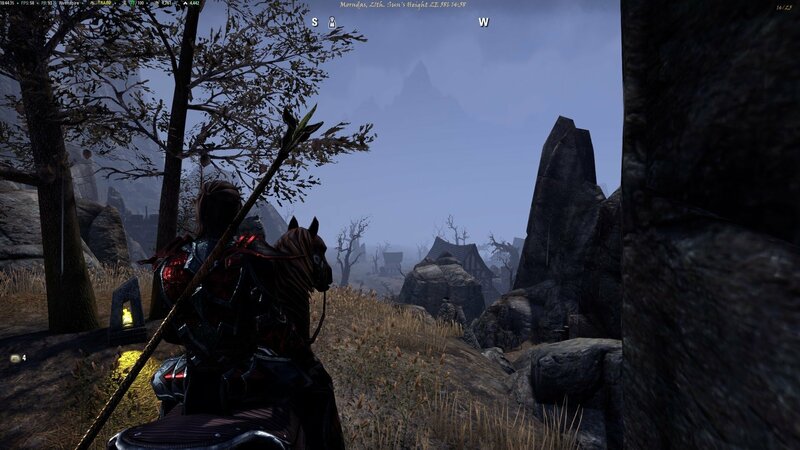 A very simple fix to this would be to allow the ability through a setting option to disable Immersive Horse Riding while inside Cyrodiil, just like how Miat's PVP Alerts is disabled outside of Cyrodiil, then these two addons wouldn't can't conflict. Works perfectly! I'm impressed at how quickly you fixed that, thank you! Last edited by Aulderick : 08/05/17 at 12:27 PM. Thanks for this amazing addon. normally when I go through a loading screen (like entering a fence), I come out with the same zoom level I entered with, like for example firstperson. When I have the mod active and coming out of a loading screen, I am way zoomed out and have to make like 2 finger strokes on the mouse wheel to be in first person again. Only pet peeve, otherwise your mod is a terrific, awesome piece of work. Edit: I noticed generally, when the Interaction key (Default: E) is pressed it zooms out, noticed it when stealing in third person, may this be the cause? Also, really confusing trying to activate Interaction in Combat and suddenly it zooms you out into third person, I thought my mouse wheel was broken. Last edited by DaCool : 06/27/17 at 08:57 PM. I don't mean to hijack this thread or draw "traffic" away but I've been messing around with my version "immersive mount camera". I've gotten the code to work with normal 1st/3rd person camera toggle with some slight issues. That version hasn't been pushed online yet (gonna have to dl the combat camera and test compatibility) though it should theoretically work. Can you please share your version of the addon? When running in 3rd person with your char been close to the camera and then calling horse you end up in 1st person view on the horse. This does not happen if you auto-run in 3rd person or if your camera floating farther away from your char. And there is this bug mentioned by another user that the camera is not switching back and forth between 1st person and 3rd person but rather float in and out. I don't mind floating effect and even kind of like it but it does not restore previous 3rd person view distance and always reset to some default. I do like this addon but I also use "Immersion Camera" to switch to 3rd person while in combat. The problem I have is how slowly the camera floats in and out when using this. Does anyone know of another 3rd-person-combat-camera addon or some other solution to this? Thank you. Last edited by Jhenox : 05/19/15 at 02:06 PM. Oh man, this guys addons are great! thanks for the heads up. Also, in game right now, but really looking forward to getting that update. Awesome mod! Last edited by imnotacop : 04/30/15 at 02:14 AM. Also, if I scroll out, I can't scroll back in.